With endless window treatment options available out there, it can be tough to settle on one particular style. That's why the following step-by-step guide can help you pick the best window treatment for your home based on functionality, usage, budget and privacy. First of all, you should determine the functionality of your wood blinds or shades. Choose one of these three choices, considering whether you're dressing doors, windows, windows with obstructions, uniquely shaped windows and so on: side by side, up and down, and tilting. Up and down may be used on many kinds of windows as well as most shades, like Cellular Shades, Romans, Solars, and Rollers. Side to side can be applied to drapes, and vertical blinds usually used to dress large windows or sliding glass doors. Tilting describes how metal and wood blinds may be closed with the help of a wand or cord or tilted open. You need to determine how often you'll close and open the window fashions treatments. Some window treatments are mainly decorative but others are suited to frequent or daily use. Solar Shades and Roller Shades have a simple mechanism, making them ideal for frequent use. You can open them each morning and close them every night. Determine how much privacy you want from your window treatments. This will depend on the amount of natural light you wish to let in or block out, how near your neighbors are, as well as the view of your window. Watch http://www.youtube.com/watch?v=R38vFgw85nA to understand more about window treatment. Solar Shades are perfect for minimal privacy, as they can minimize UV rays and glare while retaining an amazing view. For moderate privacy, go for light filtering treatments, which still let in sunlight. 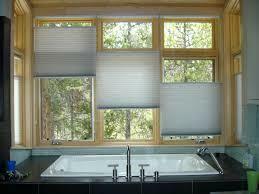 Blackout drapes and shades are made or lined with blackout materials, providing light blockage and full privacy. The last step when choosing the right window treatment is having a budget. It's best to set up a budget for window treatments. Once you have it in place, you won't be tempted to buy something that's beyond your budget. Take the measurements of all your windows. You might find that while shopping for curtains, you'll come across many different sizes that catch your eye. When you find perfect window treatments for your home, you'll be astonished to see just how your home has been transformed. Be sure to choose the right treatments as they can make the difference in the atmosphere and appearance of your home.